Actor Alia Bhatt, who received the Youth Icon of the Year honour at a gala from her father Mahesh Bhatt for the first time, said he was best suited for the title. 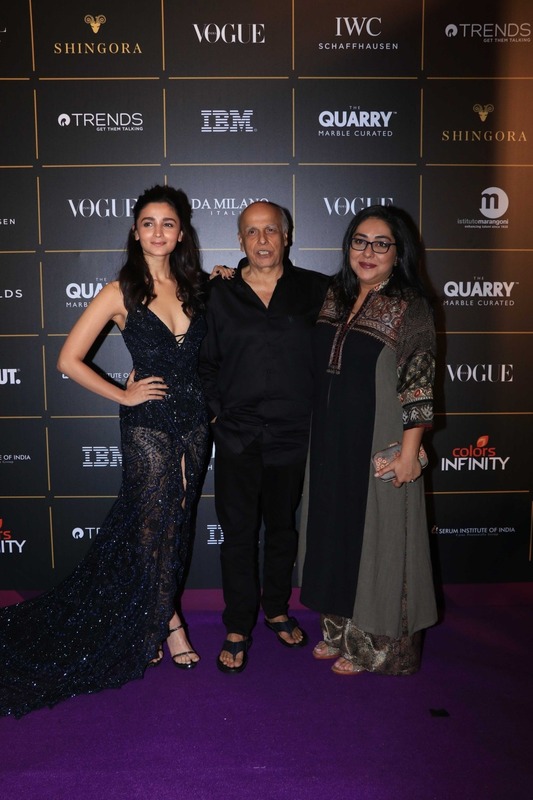 Alia and a slew of Bollywood's who's who were at the Vogue Women of the Year event in Mumbai on Saturday night. Filmmaker Karan Johar was the host for the star-studded night, read a statement. On receiving the award, the Student Of The Year actor said: "This is the first time my father is presenting an award to me. What's most special tonight is the fact that my father is standing right next to me, way past his bed time. Let me tell you that he sleeps at 9 pm and wakes up at 5 am and goes and does Pilates and cardio. "I don't think that I'm the Youth Icon of the Year. My father is the Youth Icon of the Year." Alia will soon be directed by her father for the first time in Sadak 2, which also features her step sister Pooja Bhatt. And she is looking forward to the experience. "Genuinely, I can't wait to be directed by you and can't wait to be on the set with you papa, because the kind of energy that you have, I have to calm you down sometimes. So, if there is any quality within me which is icon like, it's all thanks to my father, my mother and my other father, Karan," said the actor. A total of 20 influential names were awarded across various fields like law, entertainment, fashion, journalism, sports, women's empowerment and philanthropy. From the field of entertainment, actor Kareena Kapoor Khan bagged the Vogue and IWC Schaffhausen Style Icon of the Year award, Radhika Apte was the Vogue Trends Disruptor of the Year (Female) while Vicky Kaushal was awarded the Vogue X Trends Disruptor of the Year (Male). Meghna Gulzar, who directed Raazi, won Filmmaker of the Year, and Ayushmann Khurrana received the Vogue Man of the Moment award.